Each one of us has surely heard of the famous proverb “An apple a day keeps a doctor away”. This beneficial fruit is rich in vitamin C, vitamin A and copper, which are skin-friendly nutrients. The vitamin C in apple helps to re-store the collagen content of the skin. Collagen provides the elasticity to the skin, thus keeping the wrinkles at bay and also maintains the sin’s waterproof barrier. The copper content in the apple helps to maintain the melanin production in the skin. Did you know that melanin in the skin helps to protect it from the harmful ultraviolet rays of the sun, thus providing the skin natural sunscreen. The vitamin A helps to build the damaged skin tissues and facilitate the growth of new cells. 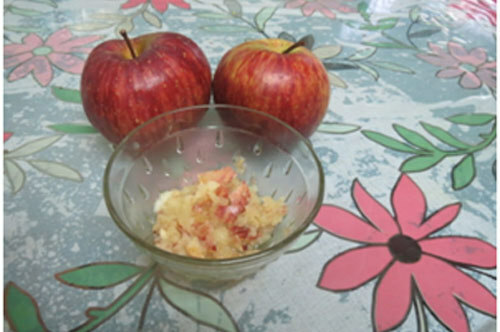 For most of the apple face masks, we would use a medium sized apple, which is freshly grated. Do not use the apples, which have been cut for a long time, as they tend to oxidise and form a brownish tinge on them. 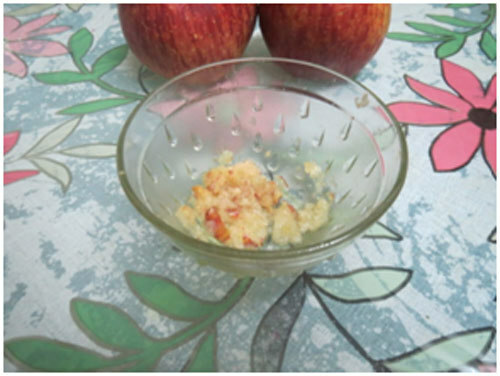 Take a teaspoon of the grated apple in a bowl. 2. Into this, add 1 teaspoon of curd and 1 teaspoon of lemon juice. The lactic acid content in the curd acts as a skin moisturiser and skin brightener. 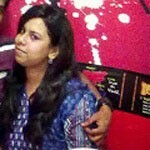 It also helps to absorb the excess oil from the face and thus it is ideal for oil skin. 3. Mix well to form a smooth paste with a thick consistency. 4. Apply this pack all over your face and keep for 15 minutes. Rinse your face with cool water. 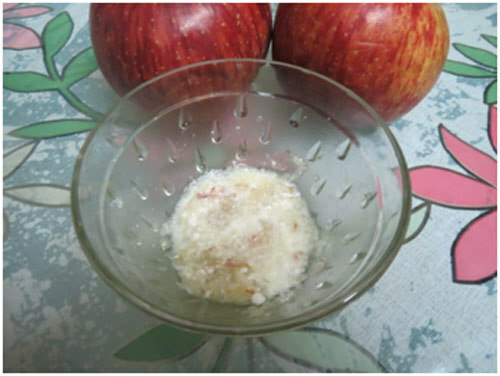 Take a teaspoon of the grated apple in the bowl. Add a few drops of glycerine into it. Mix well to form a smooth pack. Boil a small sized apple for a few minutes until it becomes tender. Peel it off and slowly mash the flesh with the fork. 2. Into this, add 1 teaspoon of ripe banana paste and 1 teaspoon of fresh cream. 4. Apply that paste all over the face. 5. Keep this pack for 20 minutes and rinse with warm water. 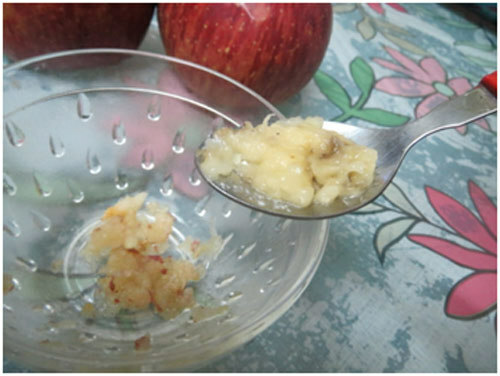 Take 1 teaspoon of the grated apple in a bowl and add ½ teaspoon of honey. 2. Mix well to form the pack and apply it all over the face. 3. Keep for 15 minutes and rinse off with warm water to reveal softer and smoother skin. This apple mask for face is suitable for every skin type as it is a fruit face pack. 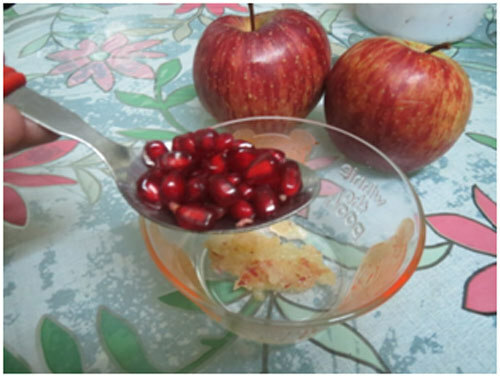 In 2 teaspoon of grated apple, add 1 teaspoon of fresh pomegranate juice. It is quite loaded with anti-oxidants, anti-microbial and anti-ageing properties. Pomegranate helps to protect the epidermis of the skin and also facilitates in the regeneration of the skin cells. 2. Into this add 1 teaspoon of yoghurt. 3. Stir well to form a smooth consistency. 4. Apply this pack all over the face and keep it for 20 minutes. You can also use this face pack as a part of your fruit facial. Rinse off with warm water to reveal an instant glow on your face. 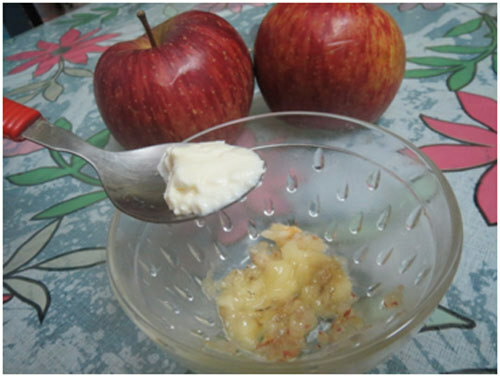 Grind the apple skin fine and along with tablespoon of honey make a fine paste of it. Then incorporate the paste into your normal face pack to improve your skin tone. This can be added to any face pack that you use on weekly basis to turn into a lovely apple facial mask. 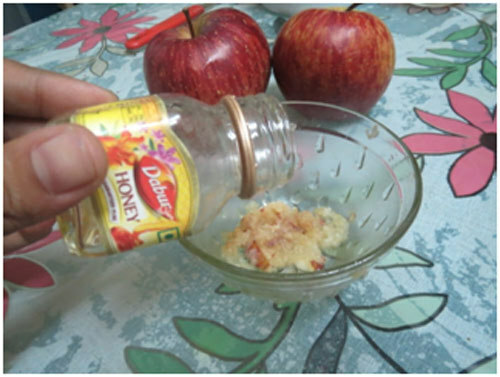 Grate half an apple and mix it with honey. Apply the paste onto the affected areas, leave it on for 15 minutes, and wash it off with warm water. Regular application reduces and prevents acne/pimples/breakouts on your skin. This apple face mask will leave you skin smooth and supple. 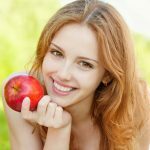 The natural acids in apple remove whiteheads, blackheads and oil leaving a glowing face. Mix a tablespoon each of apple juice and honey along with 2 tablespoons of milk. Massage your face, neck, and wash off with warm water to get a soft and glowing skin. 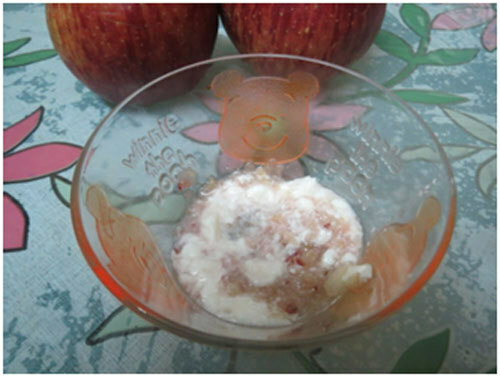 Mix 1 tablespoon pureed apples with wheat germ (tilula). Apply on face for 20 minutes and wash off with warm water. Wheat germ is an exfoliating agent that removes dead skin layer of cells. This leave your skin soft and glowing. Mix two tablespoons of crushed oats along with pureed apples and add honey. Apply the paste on face for 20 minutes, and wash it with warm water. 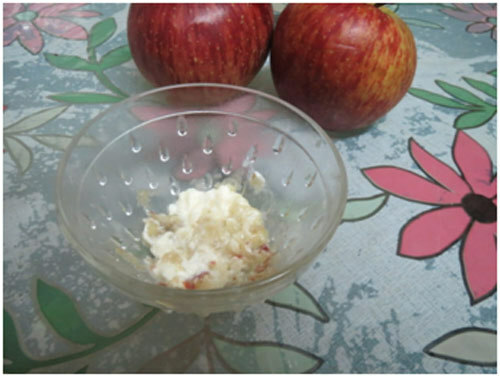 The oatmeal in this mixture exfoliates your skin while the apple and honey make it supple and glowing! Mix half-pureed apple along with little quantity of warm milk and 1 egg yolk. Blend into smooth paste, leave it on for 20 minutes and wash it off with warm water. Glowing is a by product of this for sure. 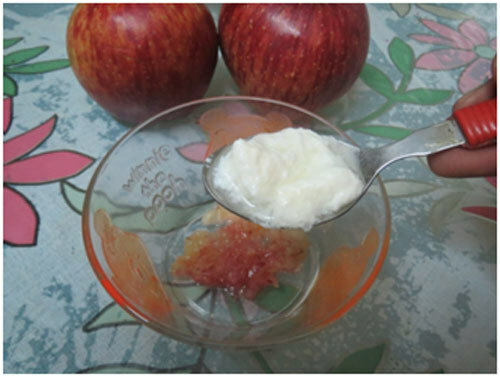 Take chopped apple, add honey and one tablespoon of yoghurt and blend into a smooth paste. Green apple is a rich source of vitamins and natural acids that aid in skin whitening and brightening. Brighter and softer skin is what you get. 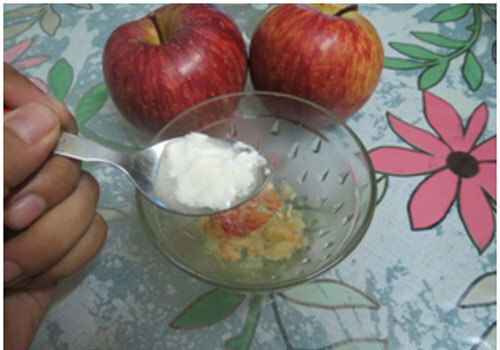 So which of these glowing skin apple facial mask recipes are you going to try out? Let us know! Take care and keep it stylish!!!!! !